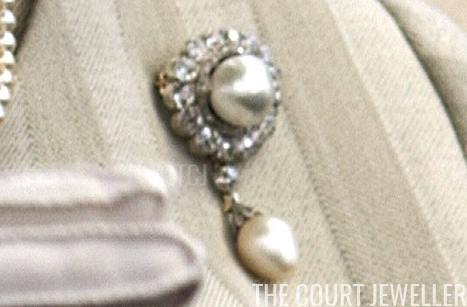 As the Queen's birthday approaches, we've got a look at one of the most timeless heirlooms in her jewelry box: the Duchess of Cambridge's Pearl Pendant Brooch. The brooch is classic in its design: a large pearl, surrounded by a cluster of diamonds, with a diamond and pearl pendant suspended from the cluster. The piece was likely made by Garrard some time in the middle of the nineteenth century, with a setting made of silver. The pendant is detachable, and the cluster also features a loop that allows the entire piece to be worn as a pendant. 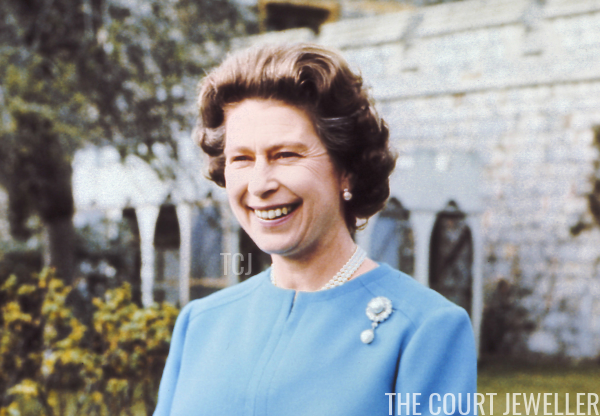 According to Hugh Roberts's landmark jewelry book, The Queen's Diamonds, the royals simply call this piece "the Duchess of Cambridge's Brooch." The Duchess in question isn't the present one, but rather Princess Augusta of Hesse-Kassel, the wife of Prince Adolphus, Duke of Cambridge. 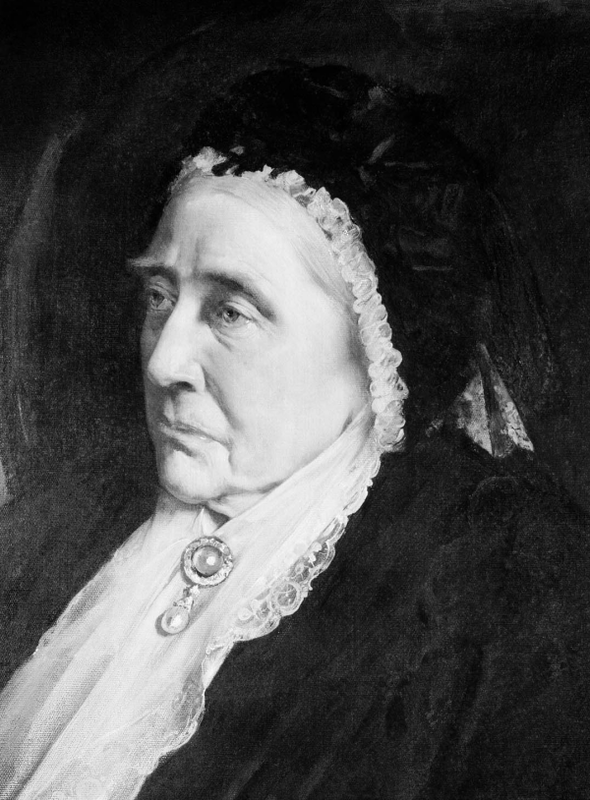 An elderly Augusta wore the brooch in a portrait commissioned by her niece, Queen Victoria, in 1877. From Augusta, the brooch passed to her younger daughter, Princess Mary Adelaide, Duchess of Teck. 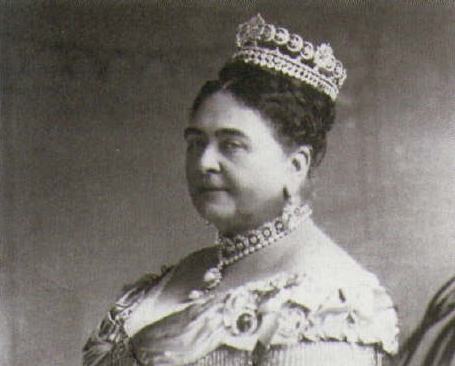 The exact details of the transfer are a little sketchy; Roberts notes that she either gave the brooch to Mary Adelaide in 1885 or bequeathed it to her when she died four years later. 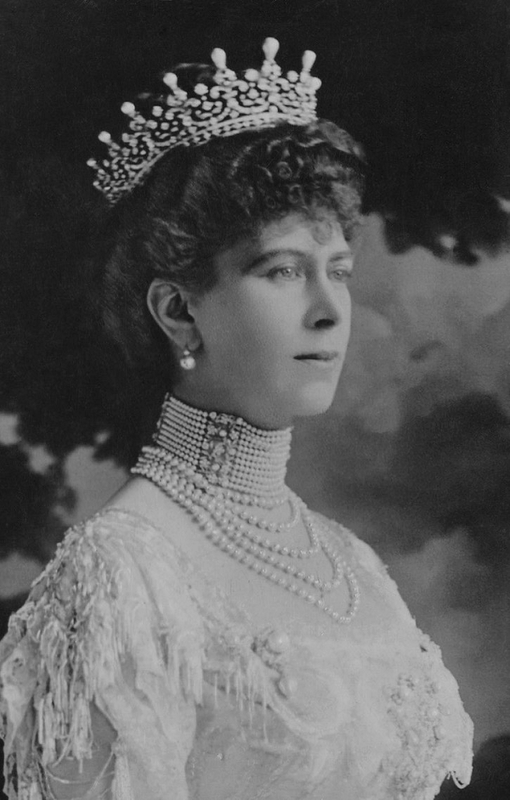 In the formal photograph above, she wears the brooch as a pendant on a pearl necklace. 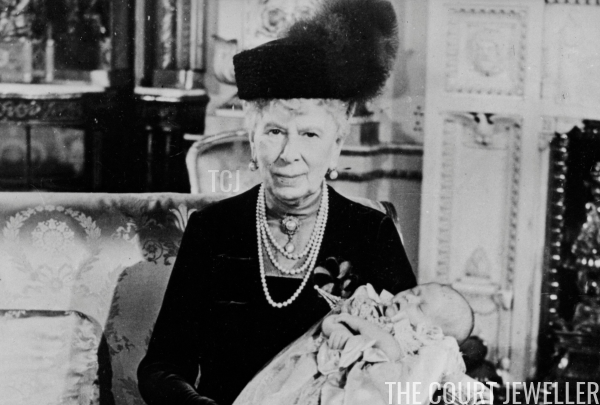 The brooch's next owner was Mary Adelaide's daughter, Queen Mary of the United Kingdom. She wore the brooch throughout her life with both day and evening wear. Above, you'll note the brooch pinned to the side of Mary's bodice. Sentimentally, Mary chose this important family heirloom brooch for two very important family occasions: the christening of her granddaughter, the present Queen, in 1926, and the christening of her great-grandson, the present Prince of Wales, in 1948. 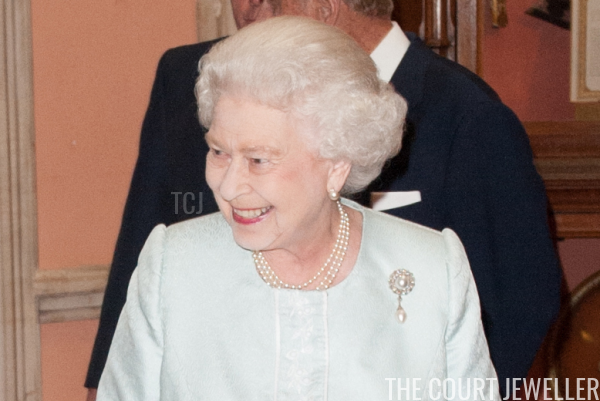 The Queen inherited the brooch from her grandmother in 1953, and it's been in her jewelry box ever since. 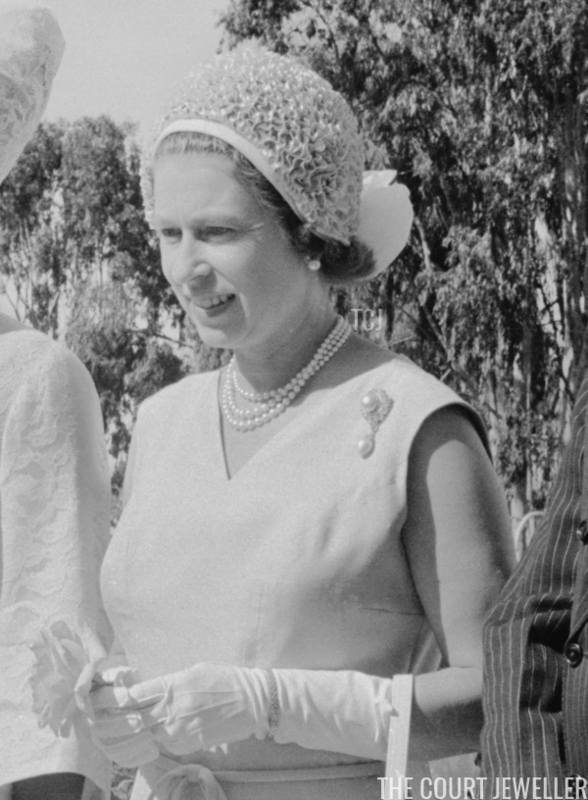 Above, she wears the brooch during a visit to Kenya in 1972. 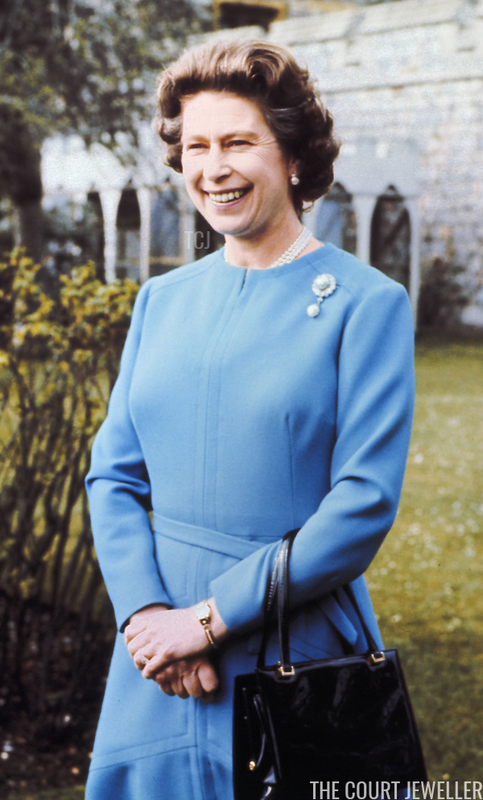 Four years later, in April 1976, the Queen wore the brooch for her official 50th birthday portraits, which were taken at Windsor. The "white" stones of the brooch also make it suitable for occasions of mourning and remembrance. 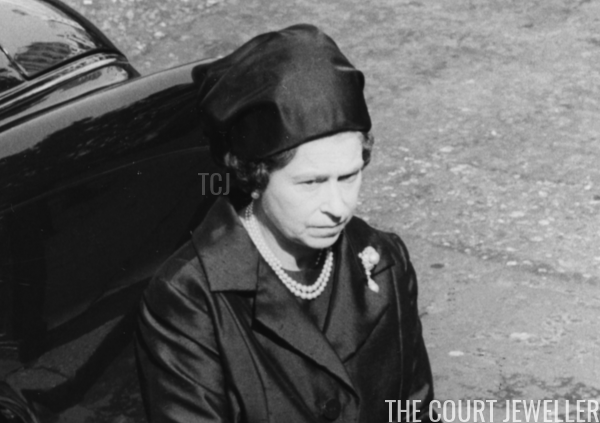 In September 1979, she wore the brooch at Westminster Abbey for the funeral of Lord Mountbatten. And here, she wears it with the pendant hanging off the collar of her jacket during the opening of the Thames Flood Barrier in May 1984. The brooch has also often accompanied HM on trips abroad. 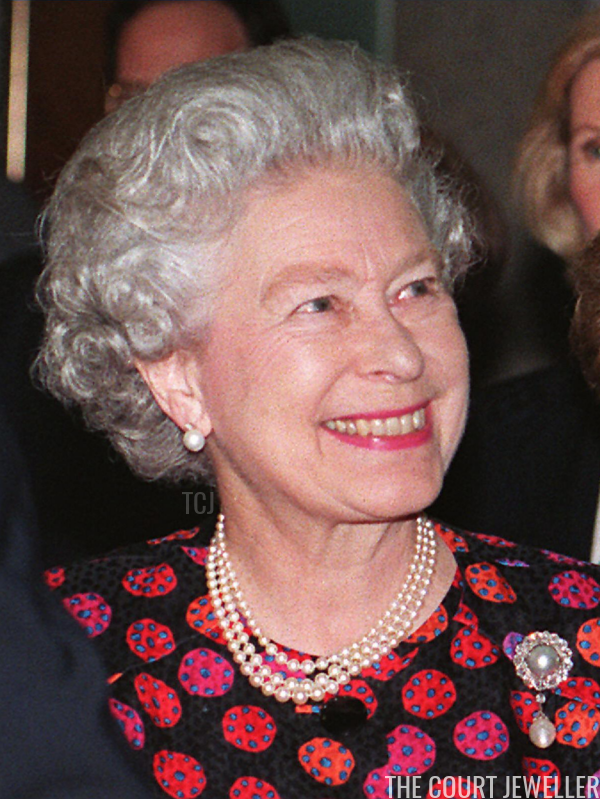 In June 1992, she took the brooch with her on a visit to France. 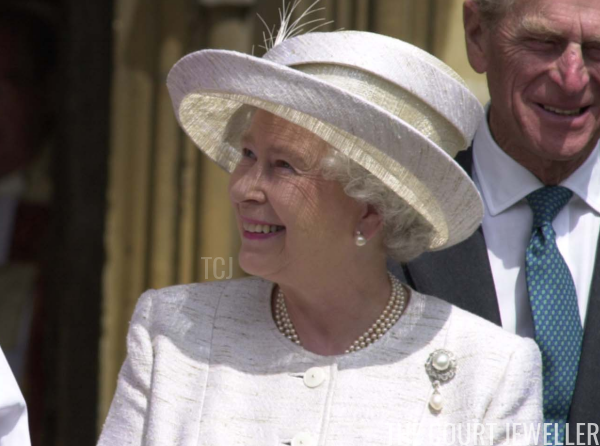 The simplicity of the brooch has made it a popular choice when the Queen has worn very brightly patterned dresses. Above, she wears the brooch with a black, red, and blue printed dress for a visit to a Finnish art exhibition at the Barbican in London in November 1997. 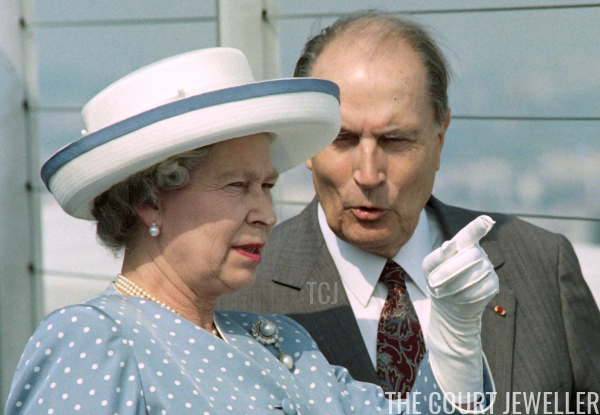 The brooch made a prominent appearance in Australia during the Golden Jubilee tour in 2002. She wore the piece without its pendant pearl at Chateau Barrosa in Adelaide in February 2002. The brooch made multiple prominent appearances during the Golden Jubilee year. 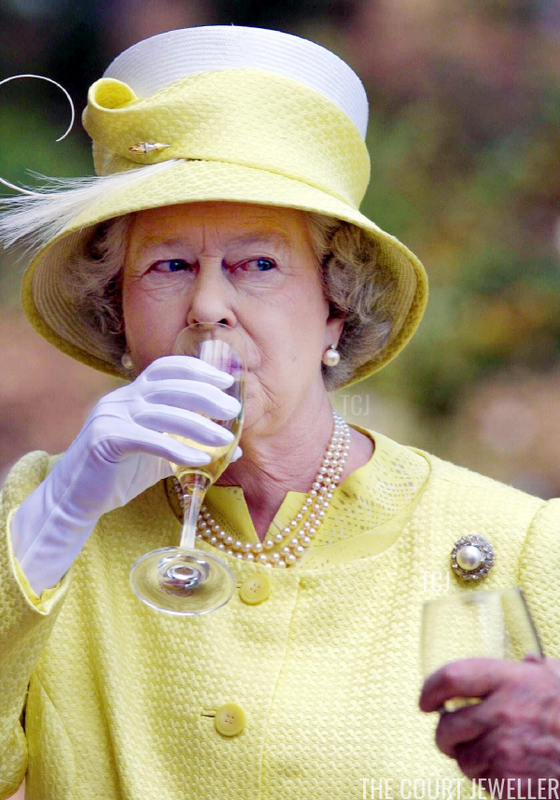 Here, the Queen wears it for a service to mark her Golden Jubilee at St. George's Chapel, Windsor in June 2002. 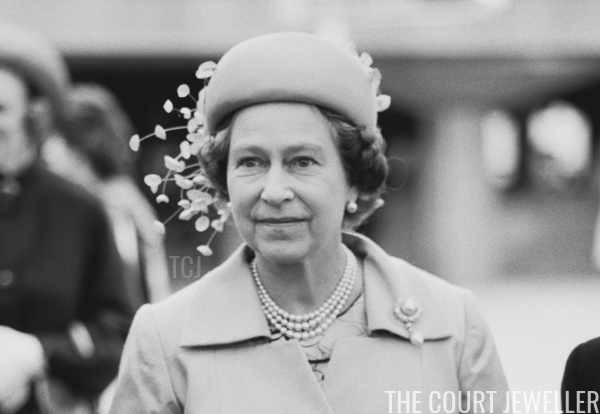 Ten years later, the brooch was part of her Diamond Jubilee festivities as well. Here, she wears it for a luncheon for Sovereign Monarchs at Windsor Castle in May 2012. 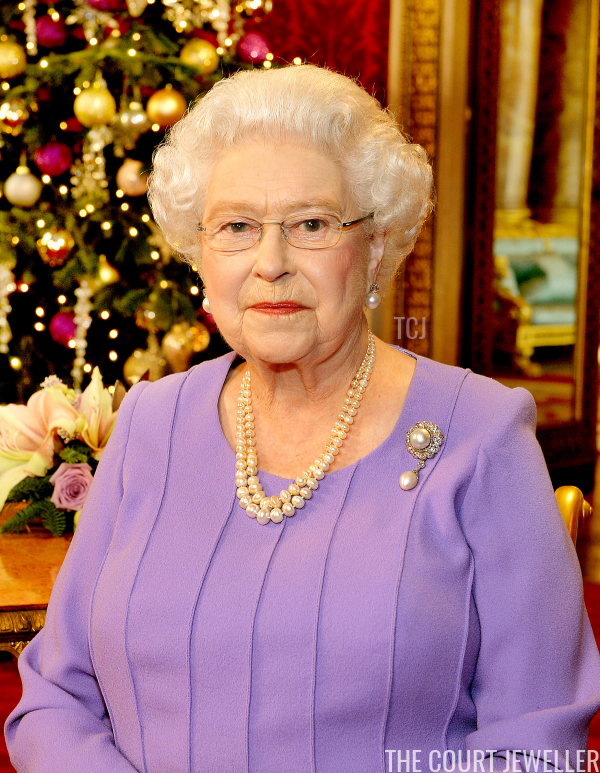 You'll spot the brooch on the Queen often, from audiences at the palace to prominent public occasions like the annual Christmas Message. (The appearance above is from Christmas 2014.) The timeless beauty of the piece, combined with its impeccable family provenance, will undoubtedly ensure that it remains a central part of the family's jewelry collection for generations to come.